A character in Alan Bennett’s play The History Boys observed that ‘there is no period so remote as the recent past’. Contemporary historians will recognise the force of Bennett’s observation, and it is perhaps particularly apt in the history of computing. Historians and theorists of the Internet and the World Wide Web have always to reckon with the common view that these systems are as they are inevitably; that they could have come about in no other way and in no other form. In a time when the personal computing industry is to all intents and purposes divided between PCs running Microsoft software on the one hand, and the products of the Apple Corporation on the other, all popular consciousness of any pre-history to that state of affairs has been lost. Into that gap comes Tom Lean’s study of personal computing in 1980s Britain. Based on a University of Manchester Ph.D. thesis from 2008, it is produced and priced in order to reach a readership wider than simply historians of technology. The appeal of the book will be seductive to those (like this reviewer) who learnt IT at school on a BBC Micro, and played games on a ZX Spectrum. Although it flirts occasionally with the danger, the book avoids being merely an exercise in nostalgia by the crispness of the writing, and a deft interweaving of users, technologies, makers, and the wider context of government thinking and media history. Lean vividly evokes the very earliest stages of the development of kit computers for home assembly in the late 1970s, as innovators working in spare bedrooms provided other enthusiasts with new toys with which to experiment. The story is a British one to set alongside the more familiar founding myths of Silicon Valley entrepreneurs in their garages. Striking also is the degree to which the personal computer was a tool without a use. No particular market existed for the earliest machines, apart from as a tool with which to learn about computing itself. Lean goes on to show that the uses to which these machines were put were often not those the makers had anticipated. Many were disappointed that machines that might have been put to educational or commercial use ended up used only for games, even though the games industry was to become highly significant for the British economy. But Lean shows that this very open-endedness was the most significant legacy of the time. Without a graphical user interface behind which the workings of the machine were hidden, a generation of computer scientists and engineers were able to learn the fundamentals of computing and what it might enable. Lean’s narrative includes the development of a market, which was by and large mature by 1983, and which collapsed within a few years. In a very short space of time, market leaders had emerged – the ZX Spectrum, the BBC Micro and the Commodore 64 – and with them a panoply of books, specialist magazines, and companies that produced software. Lean’s account is detailed on the relative technical capabilities of the several machines, including those that lost out in the race for market share, but also surefooted and informative on the wider context. There is an international element, as British machines competed in a global market, against competition from the USA and Japan in particular. For a time, British innovation was a success story which the Thatcher government was very ready to tell. 1982 was declared IT Year, and saw the appointment of the first government minister of IT, Kenneth Baker. For a moment, British entrepreneurship and innovation could be set rhetorically against the supposedly bloated and inefficient traditional industries that Mrs Thatcher had set out to reform. Particularly intriguing is the role of the BBC. In line with its threefold role to educate, inform and entertain, the BBC had in the 1970s paid attention to the coming world of computerisation, and its likely effect on employment, to set alongside early utopian and dystopian visions of the future. The Computer Programme (1982) was part of a broader Computer Literacy Project, involving television and radio, books, a programming course using BASIC, and (most unusually), its own computer, the BBC Micro. Developed inside a week by Acorn of Cambridge, as their engineers slept under the laboratory benches, it was technically outstanding and soon secured a dominant position in schools, despite protests from other firms that to patronise one machine should not be the role of the BBC as a national broadcaster. Historians of the Internet will find much in the section on Prestel, the system for receiving centrally held data on specially adapted televisions via a home telephone line. Launched in 1979 but more or less defunct by the early 1990s, it was administered by British Telecom, building on the previous Post Office monopoly in telephone services. Although the number of users was small, those that did adopt Prestel were using it for many tasks now common on the Web: buying tickets, finding travel information, banking. Prestel failed where the French equivalent Minitel succeeded, reaching some 9 million users at its height. That failure illustrates the haphazard and serendipitous nature of success and failure in the history of technology. While the system was technically advanced, Prestel’s charging model was wrong for the time; simple organisational inertia prevented a more widespread connection of the new home computers to the system, and it lacked the wholehearted support of government, which was forthcoming in the French case. If the book is let down by anything, it is by some slack proofreading, as errors abound. Scholars wishing to follow up any of the matters raised will need to resort to Lean’s thesis, available via the British Library’s Ethos service, as the referencing and bibliography here are very light, perhaps as a concession to a more general readership. 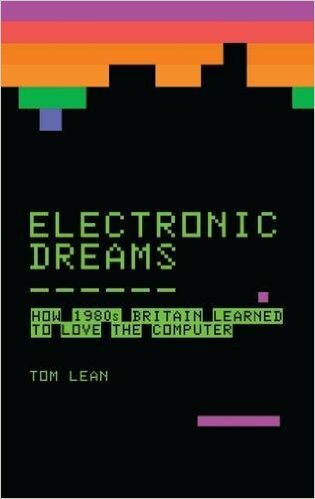 These cavils aside, Electronic Dreams will be essential reading for those interested in how Britain came to love the personal computer. Next Article What is religious history?